JR, The Black Entertainment Guide: Usher still dominating with "Raymond v. Raymond"
Usher still dominating with "Raymond v. Raymond"
Initially, Usher planned to release Raymond v. Raymond before the end of last year. However, after the divorce from his wife, the album took a sharp turn. 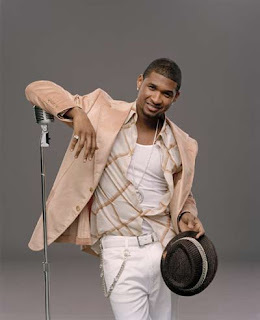 Usher had originally made plans to name the album Monster. But, with everything going on with his personal life, he renamed the album to Raymond v. Raymond. Last fall, Usher released the first single from the album, "Papers." In the time since the release of the song, many people use this quote when they are in the middle of a divorce. Usher kept things rolling with his hit, "Daddy's Home." The song peaked at number two on the R&B chart. Usher would even welcome the summer with his "Lil' Freak" with Nicki Minaj. Towards the end of March, Usher released Raymond v. Raymond and the album debuted on the top of the Billboard Hot 200, his third consecutive album to do so. For the first time in two years, Usher found himself with the number one song in the nation with his hit "OMG," which features a collaboration with will.i.am. Even with topping the Billboard Hot 100, his other singles remain in rotation on urban radio and "There Goes My Baby" is poised to rise the charts. Raymond v. Raymond has been discussed since last summer. The first time any single off of the album landed on the charts was in October. For the past eight months, Usher has been back in the game and he easily regained the top spot from other male crooners. His album is still selling very well three months after its release and the singles are still doing very well. Additionally, his videos from this album can still be viewed on a daily basis on almost every music video channel. Ever since the death of Michael Jackson, there has been a void in the R&B game and Usher is hoping to fill it.